Click here (or on book image) to learn more. View additional past Newsletters here. StorageIO provides industry trends perspectives, guidance, advice, assessment and thought leadership on data infrastructure technology, tools, products, services and techniques. Talking the talk, as well as walking the talk. Our commentary, perspectives and content appears in leading global venues. Check out some of our content, from events, ebooks, books, white papers, solution briefs, videos, webinars, articles, tips, columns, posts, thought leadership pieces, guest posts, research reports, Server StorageIOlab reports and technology test drives along with custom material and much more. From high-level vision and strategy to detailed planning, advisory consulting, custom projects including NDA activities. From hands-on testing, proof of concept to audits, custom research, surveys, technical sales and market research for your engineering or go to market assistance. View more here. Recent and popular Server StorageIO content (tips, articles, videos) and Industry Trends Perspectives commentary. Do you have a tradecraft gap? 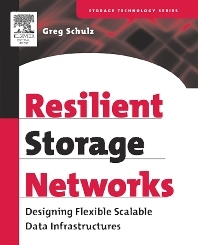 Is your data infrastructure available? Recent blog posts from Gregs Server StorageIOblog covering industry trends, tip, technologies and techniques topics. Have you heard about CLOUD Act? Who Will Be Top Of Storage World? Recent and Popular Server StorageIOlab reviews, test drive and reports. Recent and past webinar, in-person seminar and speaking events along with other activities. Server StorageIO and UnlimitedIO (e.g. StorageIO) is an independent IT advisory consultancy firm covering data infrastructure topics, trends, tools and techniques. 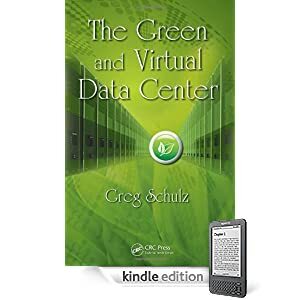 Seven-Time VMware vExpert (and vSAN) as well as author of several books including Software-Defined Data Infrastructure Essentials (CRC), Cloud and Virtual Storage Networking (CRC), The Green and Virtual Data Center (CRC) and Resilient Storage Networks (Elsevier) among others. Comments on What Does Everything a Service Mean for Storage? Comments on Storage Hyperconvergence: When Does It Make Sense? an HDD or SSD do? When & Where To Use It?